Andy's 38th Birthday gifts were a huge success! Thanks to Andy's many supporters, we made a huge difference in 2018! Our "In Memory of Andrew" supporters in American Foundation for Suicide Prevention Out of the Darkness Walk 2018 raised enough money to really impact life-saving of our young people. We are gearing up for Andy's 39th birthday . This year we will be going in a new direction. A rural animal rescue in Allendale County accomplishes so many saves with so little. This year, I would ask you to consider a donation to Partners for Pets of Allendale County to enable them to really grow their live-saving rescues. My own EmmaAnderson is an alum from Partners for Pets, and she may (or may not) be a Border Collie/GSD, and who delights my soul, these 4 years after she arrived here @ crittersville . Click Andy's smiling face below to be directed to their page. They also have a wish list on Amazon. If you choose this wonderful Birthday Gift, please leave a memo: In Memory of Andy. 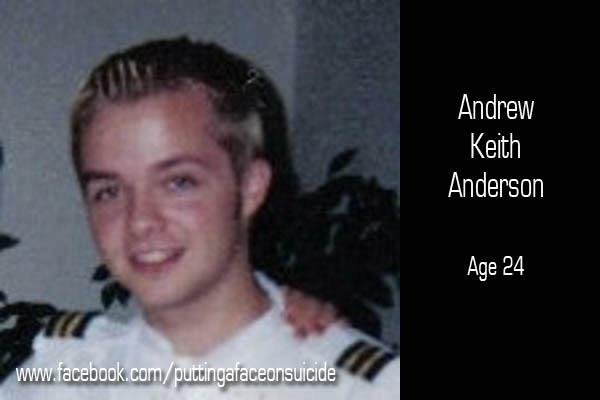 Remembering his son, Andrew Jr., who would have turned 14 this year, but never got the chance to draw his first breath. Thank you all for your continued generosity and support . It means the world to me and Andy lives on through every life saved.